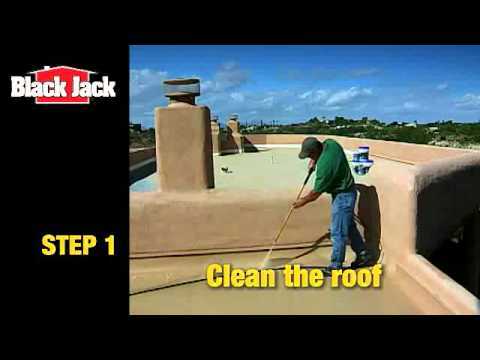 5530-1-30 5 gal 12" x 12" x 14.75"
5530-1-20 1 gal 6.75" x 6.75" x 7.75"
Black Jack® Ultra-Roof 1000, White Siliconized Elastomeric Coating is our top quality, highly flexible, white acrylic roof coating. By enhancing the product with silicone, water resistance, adhesion and life expectancy are greatly increased. This high performance product resists cracking and peeling, while offering tremendous durability, and long term life. It expands and contracts up to 350% with the roof's movement to resist damage. The coating provides an excellent, highly protective barrier which reflects the sun's heat and destructive UV rays. In turn, this helps to cool surfaces and leads to a reduction of interior temperatures. This product is an "investment", and can actually help pay for itself in savings by reducing cooling costs!